If you are about to leave high school or you’ve already graduated, you need to get these six essential items, as they are critical to ‘adulting’. This is the number one channel for tons of great life skills information and advice. Here you will find life hacks and tips that will get you ahead. If this is your first time, thanks for dropping by. A wide cross-section of entities are making it easier for Jamaicans to receive the products and services they need in the most cost effective and less troublesome way. 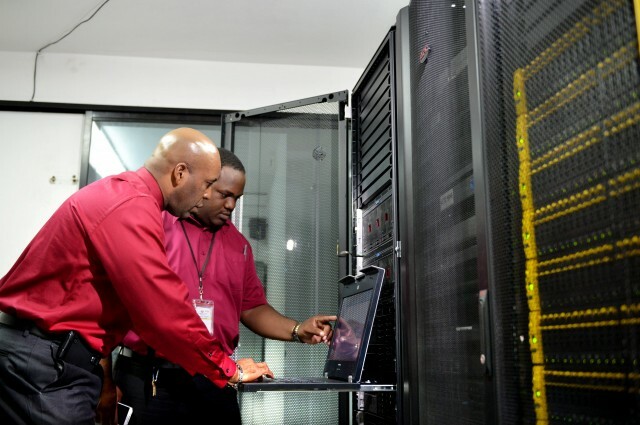 This change is quietly taking place at the Jamaica Customs Agency (JCA) where the Automated System for Customs Data (ASYCUDA), a web-based system designed to transform the agency to a paperless operation through the use of electronic documents has been rolled out. Full implementation of ASYCUDA is expected to be completed in March 2016. The new automated system is in keeping with the Government’s strategy to improve trade facilitation and service delivery in customs administration and when completed will see customs declarations, shipping manifests as well as accounting procedures, and transit and suspense procedures all being conducted electronically. The system is being implemented through a US$4 million loan from the Inter-American Development Bank (IDB). Customs Broker, Junior Waugh, who has been using ASYCUDA since its pilot phase in December 2014, said he is pleased with the new processes being implemented. He noted that the system is no longer paper-based and customs brokers do not have to print multiple forms to file declarations. “So that is considered savings on our part and the importers as well,” he said. It is mandatory for all cargo agents, including Freight Forwarders, Non-Vessel Operating Common Carriers (NVOCCs) and Sub-Agents who submit advance cargo information to do so using the ASYCUDA world system. “It is a good thing. It is basically what one would expect in 2016 for us to be working in a smarter environment…to use information technology to guide the process,” Mr. Waugh told JIS News during an interview. He noted that during the initial roll-out, some brokers have had challenges connecting to the system and filling out their documents. “From time to time, the complaints that we get from individual brokers, sometimes they are not able to go on, but in talking to JCA we realized that we have a number of issues, in terms of the connectivity, in terms of the band width that we get from our Internet service providers,” he said, adding that some of these problems are being remedied. “It’s a new thing and one would expect that you will have some teething pains. The teething pains are there and they are real but based on discussions, I am confident that they will get it right,” he added. Mr. Waugh who is also President of the Jamaica Society of Customs Brokers said since the roll out, training sessions have been organized for custom brokers in Kingston and Montego Bay. “They had a train-the-trainer initially for the customs brokers to train other customs brokers …but since the roll out they have had sessions with custom brokers to re-sensitise them on the whole ASYCUDA System,” he said, adding that the brokers were brought up-to-speed with the changes and improvements made to the system after the initial training was done about a year ago. “It [The system] has improved and trust me if we can save time in our business, time is really money and so it should be a win for everyone,” he added. Chief Information Officer of JCA, Andre Williams said the system has eliminated the use of paper, which has reduced the processing and waiting times at various stages and has resulted in cost saving. “Based on the number of yearly transactions, where it concerns exports and commercial imports, there is a saving of $66 million per year just for the purchasing of forms,” he informed. “There is greater efficiency, transparency and accountability on the part of our business partners as well as the JCA [because] there is an immediate electronic submission of the declaration and supporting documents,” he continued. “We have also been transferring motor vehicle details to the Automated Motor Vehicle System by TAJ, so once the vehicle has been cleared of all liabilities to the agency and to the port, that information is relayed in real time to TAJ for the registration of the vehicle,” he added. The data from ASYCUDA is also being used by the Island Traffic Authority to issue fitness certificates for motor vehicles, as well as by the Ministry of Finance and Planning and the Statistical Institute of Jamaica. In addition, once a licence, certificate or permit has been issued by the Trade Board Limited or other bodies, including the Ministries of Health and Agriculture, the data that has been placed by them on their E-Trade System is automatically sent to ASYCUDA, eliminating the need for physical documentation and therefore allowing for the quick approval of declarations for processing. As it continues to improve its business processes, the JCA will also be introducing an Electronic Single Administrative Document, which will integrate all forms currently used at the agency. Commissioner of Customs and JCA Chief Executive Officer, Major (Ret’d) Richard Reese, said the form, which is being tested, allows for all the various types of entries to be made. “In the past, we would have had a specific form for specific transactions. This combines all those forms into an electronic entry and [allows] you [to] select from a menu,” he explained, adding that the single form will save millions of dollars for the agency as well as its clients. Under the ASYCUDA project, Major Reese said the JCA has completed implementation of the export and import modules for sufferance wharves. Additionally, he said the import module for personal shipments in Kingston and Montego Bay has been implemented. “We will also be implementing the import module for commercial shipments, the incentive module and also the permits and licences. So at the end of the implementation programme all aspects of Customs operations will be fully automated and all payments, of course, will be electronic or by cash,” he added. Since January 4, the JCA had mandated that all personal shipments will require the use of the ASYCUDA World System island wide. “What this entails is the loading of that information by the various carriers whether by air or sea and the consolidators, so we will have that information in advance and when individuals come to clear their shipments it will make the process even faster,” he said, noting that personal shipments are being cleared within an hour and 15 minutes to an hour and 20 minutes. “So that in itself is evidence of the level of efficiency when we compare to earlier periods when persons would travel to the warehouses or the ports and expect to spend a day or at least a half-a-day,” he said. Changes at the JCA are being monitored under the Public Sector Transformation and Modernisation Programme designed to support the government’s priorities of improving ‘ease of doing business’ and public sector efficiency. Acting Principal Director, Public Sector Modernisation Programme Implementation, Cabinet Office, Wayne Robertson, said the Office has been working with all the entities that are involved in trade. “We are currently working with the World Bank in terms of building out a sustainable programme of facilitating trade and we are not just looking at public sector entities, but also private partners and so all the entities that are involved in trade we work with them,” he said. Mr. Robertson continued: “We are looking at how we can improve import and export service provision to MSMEs (Micro Small and Medium Size Enterprises) and so rather than making 10 stops, we are saying, listen, you need to make one stop.” He stated that one stop shop facilities will not only be implemented in the Kingston Metropolitan area but also in the second city, Montego Bay. Yes! Finally. I have been waiting too long for this. I reserved my copy this morning! Microsoft announced today that it will release Windows 10 on July 29. The OS will be available as a free upgrade to all licensed Windows 7 and 8.1 users. Windows 10 will feature Microsoft’s voice assistant Cortana, the company’s all-new Edge Web browser and will run on desktops as well as tablets and phones. Through the feedback and testing of over four million Windows Insiders, we’ve made great progress on Windows 10 and we’re nearly ready to deliver this free upgrade to all of our Windows customers*. We designed Windows 10 to create a new generation of Windows for the 1.5 billion people using Windows today in 190 countries around the world. With Windows 10, we start delivering on our vision of more personal computing, defined by trust in how we protect and respect your personal information, mobility of the experience across your devices, and natural interactions with your Windows devices, including speech, touch, ink, and holograms. We designed Windows 10 to run our broadest device family ever, including Windows PCs, Windows tablets, Windows phones, Windows for the Internet of Things, Microsoft Surface Hub, Xbox One and Microsoft HoloLens—all working together to empower you to do great things. Familiar, yet better than ever, Windows 10 brings back the Start menu you know and love. Windows 10 is faster than ever before, with quick startup and resume. And Windows 10 provides the most secure platform ever, including Windows Defender for free anti-malware protection, and being the only platform with a commitment to deliver free ongoing security updates for the supported lifetime of the device. Microsoft Edge, is an all-new browser designed to get things done online in new ways, with built-in commenting on the web – via typing or inking — sharing comments, and a reading view that makes reading web sites much faster and easier. With Cortana integrated, Microsoft Edge offers quick results and content based on your interests and preferences. Fast, streamlined and personal, you can focus on just the content that matters to you and actively engage with the web. Windows Hello, greets you by name and with a smile, letting you log in without a password and providing instant, more secure access to your Windows 10 devices. With Windows Hello, biometric authentication is easy with your face, iris, or finger, providing instant recognition. In addition to these innovations, we will continue to update Windows 10 over time with new innovations to help you be more productive and have more fun. Like Windows 10 itself, these updates will be free for the supported lifetime of your device. You can see these features in action in this video. The Windows 10 upgrade is designed to be compatible with your current Windows device and applications*. We are hard at work to make this upgrade process a great experience. You can reserve your free Windows 10 upgrade now through a simple reservation process. Look for this icon in your system tray at the bottom of your screen, simply click on the icon, and then complete the reservation process. You can find more details on how this works at Windows.com. Thank you for choosing Windows. We are designing it for you, so you can be more secure, more productive, have more fun. ** Specific features may not be available in certain markets, some features require specified hardware, and Continuum for phone available on select premium models at launch. More details at Windows.com/windows10specs and xbox.com/windows-10. Microsoft has been discussing the idea of Windows as a service, but the company hasn’t really explained exactly how that will play out with future versions of Windows. That might be because there won’t really be any future major versions of Windows in the foreseeable future. Microsoft has altered the way it engineers and delivers Windows, and the initial result is Windows 10. Instead of big releases, there will be regular improvements and updates. Part of this is achieved by splitting up operating system components like the Start Menu and built-in apps to be separate parts that can be updated independently to the entire Windows core operating system. It’s a big undertaking, but it’s something Microsoft has been actively working on for Windows 10 to ensure it spans across multiple device types. While we’ll witness the results in the coming months, Microsoft is already in launch mode for a number of its apps and services that power Windows 10. The software company is testing preview builds of Window 10 with willing participants, and apps like Xbox and Mail have been engineered for regularly monthly updates. Even Office for Windows 10 will also get regular updates, much like a mobile version, instead of the big bang release every few years. With Windows 10, it’s time to start thinking of Windows as something that won’t see a big launch or major upgrade every few years anymore. Much like how Google’s Chrome browser gets updated regularly with version numbers nobody really pays attention to, Microsoft’s approach will likely result in a similar outcome. This is really the idea of Windows as a service, and the notion that Windows 10 could be the last major version of Windows. Microsoft could opt for Windows 11 or Windows 12 in future, but if people upgrade to Windows 10 and the regular updates do the trick then everyone will just settle for just “Windows” without even worrying about the version number.